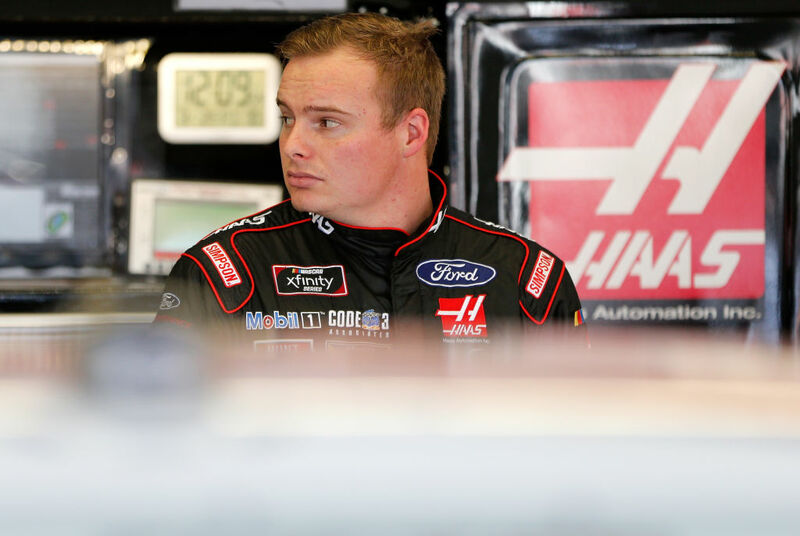 The California 300 will mark Cole Custer’s second NASCAR Xfinity Series start at his hometown track, Auto Club Speedway in Fontana, California. Custer was born and raised in Ladera Ranch, California, where he began his racing career turning laps at local short tracks including Orange Show Speedway in San Bernardino and I-10 Speedway in Blythe. Custer is no stranger to winning at California tracks where he has never competed. In 2012, Custer won his first start at I-10 Speedway in the Late Model Stock Car division. In 2005, Custer won six races in the Jr. Novice Series at Pomona Valley on his way to winning the Quarter Midget championship in the Jr. Novice Series. Custer would go on to win Quarter Midget championships in the Senior Honda and Senior Stock divisions four years later. In 2011, Custer became the United States Auto Club National Young Gun champion, winning 15 of 22 races. Custer has earned two top-10 finishes this season – earned consecutively at Atlanta Motor Speedway and Las Vegas Motor Speedway. In Custer’s only Xfinity Series start at Fontana, he ran consistently inside the top-10 until he was involved in an accident on lap 106. Custer is 11th in the Xfinity Series championship standings with 100 points. The No. 00 Haas Automation Mustang will run a special check donation decal on the deck lid this weekend. The Gene Haas Foundation announced a $7 million dollar Scholarship donation to STEM CNC machining schools Tuesday. During the week leading into the California 300 at Fontana, Custer’s scheduled included a visit to Loma Linda Children’s Hospital, racing at the K1 Speed Go Karting complex with students from the Lefty’s Kids Club, and joining fans during a hauler parade at 6 p.m. Thursday at the track. Custer will be welcomed home with a special ticket package. The Welcome Home Cole Custer ticket package includes a $10 ticket to the California 300, a free No. 00 hat and signed hero card, and admission to a Q&A with Custer in the Fan Zone. Tickets can be purchased by visiting AutoClubSpeedway.com/Cole. Haas Automation, the largest CNC machine tool manufacturer in North America and sponsor of Custer’s No. 00 Ford Mustang, is headquartered just two hours from Auto Club Speedway in Oxnard, California. Gene Haas, founder of Haas Automation Inc., first opened for business in Sun Valley, California, in 1983 machining parts for the electronics and aerospace industries. Are you excited to return to your home track with some experience under your belt? How cool is it to have a ticket package named after your return home to California? You were a part of a huge donation to STEM CNC machining schools with the Gene Haas Foundation. What was that like? Talk about growing up in Ladera Ranch, California, where racing wasn’t exactly on the main stage. Do you attribute your success to growing up around the local tracks in California? Besides racing, what was life in California like? Are you more confident this time around heading to Cole’s home track?